The second annual Indiana Summit for Economic Development via Early Learning Coalitions will take place on June 5 at the Monroe County Convention Center in Bloomington. The Indiana Summit will explore the business case for investing in early childhood and learn how to develop, grow and sustain early learning coalitions in communities across the state of Indiana. Dr. Tim Bartik, economist at W. E. Upjohn Institute for Employment Research, who will share the important link between a strong and skilled workforce and investing in early childhood. Hoosier native Erin Ramsey, senior director of Mind in the Making at the Bezos Foundation. She will talk about the brain development that occurs in the early years and its connection to shaping the future workforce. Afternoon workshops will focus on helping local communities build strong coalitions with a focus on early childhood. There will also be ample time for networking and connecting with community leaders across the state. Business, community and education leaders are coming together for the event. Registration is required. The daylong program is just $25. How do you share your company culture with a crowd of 1,200 in a fun, festive atmosphere? It’s one of the perks that comes with sponsoring the Best Places to Work in Indiana Awards Dinner and program. A bit of background about the Best Places to Work in Indiana program: Honorees are announced each February, with rankings unveiled at the May awards dinner. Winners are recognized in four categories – small, medium, large and major – and selected based on employer reports and anonymous employee surveys. Hylant, one of the largest privately-held insurance brokerage firms in the United States, was among the 100 companies that made the 2015 Best Places to Work in Indiana list. It ranked No. 3 in the large employer category. Headquartered in Toledo, Ohio, Hylant has offices in six states. Indiana locations include Bloomington, Fort Wayne and Indianapolis. “Rolling out the red carpet” for team members and clients through training programs – particularly those that focus on human resources and wellness – is another way Hylant partners with the Chamber. Last session, county officials sought drastic changes to Indiana’s property tax assessment methodology in reaction to two decisions from the Indiana Board of Tax Review (IBTR) involving “big-box” retail stores (e.g., a Meijer and a Kohl’s store). Officials complained that assessment appeals were being wrongly decided because the IBTR allowed the consideration of the sale price of like buildings that had been closed and were vacant at the time of the transaction as evidence of the value of the operating stores. Assessing officials called these transactions “dark sales” and contended such sales should be precluded from being considered in determining the assessment of like structures that remain open and occupied by large retail entities. The legislative result was something of a standoff between county officials and affected taxpayers. The ultimate legislation (SB 436) left a lot to be desired since the interested parties maintained such disparate viewpoints. They were – and remain – fundamentally divided on how real estate should be valued under Indiana law. The issue came to the forefront again last month when the IBTR issued another decision that resulted in a significant reduction to a large commercial entity; this time, a CVS Pharmacy store in Bloomington. Interestingly enough, this case did not involve a “big-box” and was not based on the application of “dark sales” (even though you would have thought so from the way it was being publicly described by many.) Nevertheless, it was cited as another case where the IBTR had somehow gotten it wrong and was making a bad decision. The situation essentially reveals: Assessors and county officials believe that large national chains should be taxed more because they are large national chains (and refuse to acknowledge the state of the law which just doesn’t support their higher assessments.) The IBTR has merely been doing its job, applying case law that has developed from Tax Court decisions issued since 2010 and before. What’s more, assessors and county officials do not want to assess the property based on its fair market value, they want to assess it based on the value of the business operations that take place on the property — what I call “value to the user.” Property tax is supposed to be a tax on the value of real estate, not a tax on the investment value that real estate has to the owner. This debate arises out of the statutory and administrative rule definitions that govern our assessment system. Indiana defines true tax value as something different than the market value-in-exchange (what the property could sell for); instead it creates a hybrid standard referred to as “market value-in-use”. This hybrid was created to protect some properties from higher taxes. The best example is when a highly valuable piece of prime commercial real estate is actually used for agricultural or residential purposes. But now there is a movement to interpret market value-in-use as a means for taxing the value the property has to its specific user, i.e., the national retail chain owner. This is not only subjective, unfair and inequitable; it is unworkable. It would result in nearly identical buildings being assessed at widely differing values based on the financial status and circumstances of the particular owner. Such a standard is contrary to our Indiana Constitution and would effectively undermine the integrity of our entire assessment system. It is an important issue and appears it is going to be taken back up next month by the Interim Committee on Fiscal Policy, which has scheduled meetings for October 7, 13 and 21. The Switchboard is an online portal designed to connect entrepreneurs and business owners to the local resources they need to start or grow a business in Monroe County. It was created through a partnership with The Gayle and Bill Cook Center for Entrepreneurship at Ivy Tech, Bloomington Economic Development Corporation, the City of Bloomington and through grants provided by the Community Foundation of Bloomington and Monroe County and Duke Energy. Anyone interested in being a part of or contributing to Bloomington’s entrepreneurial ecosystem is encouraged to list yourself or your organization as a resource on The Switchboard to allow entrepreneurs to access your business or service (or just connect with you over coffee). To create a profile, just visit the site and click the “list a resource” button on the home page. Banking executive Mike Kubacki, Fifth District Congresswoman Susan Brooks and the city of Bloomington were all honored by the Indiana Chamber of Commerce this evening at the organization’s 25th Annual Awards Dinner. A crowd of approximately 1,500 attended the event at the Indiana Convention Center in downtown Indianapolis. 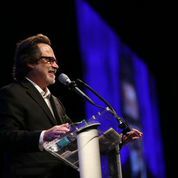 Saturday Night Live alum and radio host Dennis Miller was the featured speaker. The awards dinner was presented in partnership with Anthem Blue Cross & Blue Shield. “All of our honorees have demonstrated supreme commitment to making Indiana a better place. Their efforts will be felt well beyond today and pay dividends for years to come,” says Indiana Chamber President and CEO Kevin Brinegar. Lake City Bank Executive Chairman Mike Kubacki grew up in the business, with his father serving as president of Pierceton State Bank in Whitley County. After a 25-year career in Chicago and Los Angeles with Northern Trust, Kubacki returned home when the call came from Lake City. “People come up to me and say, ‘I bank at your bank and your people in this office are great,’” Kubacki shares. “It’s really an outstanding job, and it’s a 24/7 job – but that doesn’t bother me. It’s a magnificent experience. “As a leader of a community bank, there simply isn’t a distinction between what I do at work and at home. Back in the day, we’d say there are two kinds of people in the world for a community banker – customers and prospects. So you need to be on your best behavior all the time. If you don’t enjoy that, you shouldn’t be a banker,” he states. During his 16 years as CEO (through earlier this year), Lake City increased its assets from $800 million to $3.2 billion. Kubacki led a team that expanded efforts beyond its home of Warsaw by establishing regional centers in South Bend, Fort Wayne and Indianapolis. He also introduced a formalized training program called Lake City University. That growth has earned widespread admiration. Dan Evans, CEO of Indiana University Health, was elected to the Lake City Bank board in 2010. He cites Kubacki’s leadership as a driver in his desire to serve. “Mike’s intensely focused on what is best for his customers and the communities that Lake City serves,” he notes. In Kubacki’s current role as executive chairman and throughout his career, he has never been one to sit behind his desk. He says his office now is anywhere where he has his briefcase and cell phone. His direct relationships with clients, and community involvement are widespread. Being a freshman is never easy. Fortunately for her constituents, Congresswoman Susan Brooks was a standout from the very beginning. Her experiences as a lawyer, deputy mayor of Indianapolis, U.S. Attorney and at Ivy Tech Community College have helped her get off to a fast start. Prestigious committee assignments, reaching out across the aisle and actually moving legislation in a Congress plagued by partisanship are among the accomplishments. Brooks asked for and received placement on the Committee on Education and the Workforce, plus the Committee on Homeland Security. She was also assigned to the Ethics Committee, which investigates the conduct of House members. In addition, earlier this year she was the only freshman asked to serve on the House Select Committee on the Events Surrounding the 2012 Terrorist Attack in Benghazi. Tom Snyder, Ivy Tech president, did not know Brooks prior to bringing her on board. In addition to strengthening the in-house legal capabilities at the community college, she helped developed what eventually became the school’s Corporate College (with an emphasis on training capabilities). “Susan is an incredibly good listener in terms of business needs,” he explains. “She was a business advocate when she was here and she’s taken that position as she’s moved on to Congress. If you look at just the last decade alone, the city of Bloomington has been on the cutting edge in several industries. The life sciences sector – led by world-renowned device manufacturer Cook Medical Group – continues to thrive. An emergence in the high-tech arena is also paying dividends. The work of the Bloomington Technology Partnership (BTP) has helped pave the way with a variety of endeavors. Another key factor driving technology has been the education and knowledge housed at both Ivy Tech and Indiana University. “Just over the last 10 years, we’ve seen something like 500 patents come out of the work of all our faculty members – and many of those patents have led to either technologies that have been licensed or the development of start-up companies,” says Indiana University President Michael McRobbie. The city believes its crown jewel will be a 65-acre certified technology park that includes a 12-acre core property currently under development in downtown. Weekly networking events, numerous technology gatherings and an annual three-day conference further emphasize the importance placed on the tech economy. But life is about far more than work, and Bloomington’s prosperity and popularity is strongly rooted in its culture and attractions. It’s something the city consciously uses to its advantage. Community leaders and residents come together to tackle challenges and create new opportunities. Above all, they are passionate about their hometown. “There are some of the geekiest, smartest people working on tech startups here. And every single one of them is creating a product that blows me away every time,” notes Katie Birge, director of the BTP. Ivy Tech Community College served as the speaker sponsor for the event, while the opening reception sponsor was Uzelac & Associates. The speaker reception sponsor was Hirons & Company: Advertising + Public Relations. The awards dinner followed the Indiana Chamber’s fall board of directors and annual membership meetings. Indiana Chamber Volunteers of the Year Phil Bounsall (Walker, Indianapolis); Jill Ritchie (Indiana Beverage, Valparaiso); and Heather Wilson (Frost Brown Todd, Indianapolis) were announced during a lunch ceremony. Tom Easterday, executive vice president of Subaru of Indiana Automotive, of Lafayette, was elected the Indiana Chamber’s 2015 chair of the board of directors. Videos honoring the award winners that were shown at tonight’s event can be viewed at www.indianachamber.com/go2/winners. Read more about the winners at www.bizvoicemagazine.com. The city of Bloomington was named the 2014 Community of the Year today by the Indiana Chamber of Commerce. 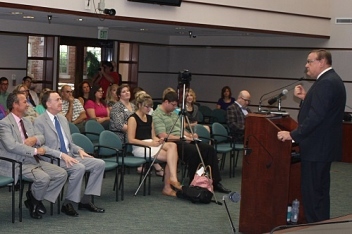 The announcement came at a city hall press conference attended by local government, civic and business leaders. More than 1,400 business, political and community leaders are expected to attend. “Saturday Night Live” alum Dennis Miller, whose current focus is political commentary on Fox News and a nationally-syndicated talk radio program, will headline the event. Tables of 10 and individual tickets are available for the reception (5 p.m. EST) and dinner (6:30 p.m. EST). Reservations can be made at (800) 824-6885 or at www.indianachamber.com/specialevents. An attorney by trade, Ferguson was a Cook Group consultant for more than two decades before finally being persuaded to make the partnership official in the early 1990s. He was company founder Bill Cook’s confidante and trusted advisor (Cook passed away in 2011). Today, the Cook Group (which also includes enterprises in the retail, real estate and travel/transportation industries) employs 11,000, has annual sales of approximately $2 billion and generates more than a million medical device products each day. The importance of what the core company does hits home daily, Ferguson says. Another Cook legacy that Ferguson has been heavily involved with is building restoration. Ferguson led the affiliate responsible for these projects, which began locally in Bloomington in the 1970s. The crowning jewel would come in 2007 with the return to glory of the West Baden Hotel and creation of the French Lick Resort. Ferguson spends three workdays at Cook headquarters in Bloomington and two at the French Lick Resort. He listens to those running the day-day-day operations and imparts his wisdom without telling them what to do. It’s all done with a positive attitude that he finds so important. “I think you need to be around positive people and you need to be a positive person yourself. If someone asks how I am, I always say ‘I couldn’t be better.’ I get up every day feeling like that,” shares the 72-year-old. A welcome activity for Ferguson is volunteering and community involvement, which he believes is something everybody should embrace. One such effort that remains near and dear to his heart is the 800 basketball games he coached. Other highlights: He served 12 years on the IU Board of Trustees and was a member of the state’s Higher Education Commission and Indiana’s Education Roundtable. Government Leader of the Year: former U.S Sen. Richard Lugar – “Few government leaders have made as wide and positive an impact as Richard Lugar has for his home state and nation,” offers Brinegar. “In fact, ‘Government Leader of a Lifetime’ might well be a more appropriate designation.” Lugar was also the inaugural Government Leader of the Year in 1990. After two terms as Indianapolis mayor, Lugar represented Indiana for 36 years in the U.S. Senate. During his time in the Senate, Lugar was known for his bipartisanship and thoughtful approach to various complex issues – including the dismantling of weapons of mass destruction. As a testament to these traits and his many accomplishments, Lugar is one of the recipients of this year’s Presidential Medal of Freedom – the nation’s highest civilian honor presented to those who have made especially meritorious contributions to U.S. security or national interests. The 81-year-old Lugar hasn’t slowed down after leaving Congress. As president of the Lugar Center in Washington D.C., he continues his work on many of the same passions that dominated his career, including energy and national security issues. Recent diplomacy efforts included trips to South Korea, Azerbaijan and Montenegro. “(Energy) is still politically charged; the battle over the Keystone XL pipeline seems to go on and on and on. Many people take the point of view that climate change requires that all fossil fuels be curtailed. I’m optimistic – balance of payments are down, production in the United States is up and our foreign policy has changed because of much less dependence upon the Middle East and other areas that are hostile to us,” Lugar explains. Regarding money matters, he has confidence Americans can find solutions to the many challenges. “My hope is that there is going to be more optimism. We are in a degree of economic recovery, even if not as strong as all of us wish it was, that compared to other countries … we are still the strongest and are recognized that way. The dollar is still the best currency; this is where the Chinese want to put their reserves,” he emphasizes. Lugar has also expanded his relationship with the University of Indianapolis to form the Lugar Academy, which provides students with unique learning experiences here and in Washington. Lugar also teaches university students in Indiana and at Georgetown University. When he’s not helping to prepare the next generation of business and civic leaders, you might find Lugar on the 604-acre Marion County family farm that he still manages today, planting and pruning trees with his son, Bob. Family is especially important to Lugar; he met longtime wife, Charlene, when the two served as co-presidents of the Denison University student body. “We have continued to be supportive of each other through all the public life ups and downs and the raising of four wonderful sons, who I have enormous pride in and have great achievements of their own. 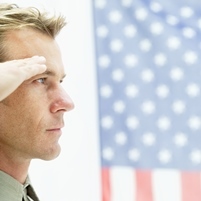 These have been critical factors in my ability to serve. My family has wanted to be teammates in this and I’ve included them,” he adds. Bedford’s comprehensive plan (which hadn’t been updated in 25 years) centers on strategic investment and downtown revitalization. The city honed in on expanding education and workforce development efforts; diversifying and continuing to support growing industries, including health care and defense manufacturing; plus beautifying buildings and offering affordable housing for seniors. 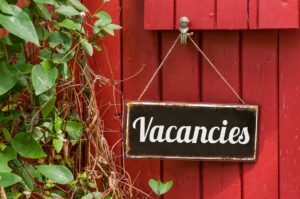 Strengthened partnerships among the city, county and private sector paved the way for the community to focus on the high unemployment rate that was burdening the small city of 14,000 in south central Indiana. Bedford's progress was recognized by the state earlier this year, as it was chosen as a Stellar Community. Only two Indiana communities are designated as such each year. The award brings $19 million in state, local and private funds to Bedford for planned improvements. The awards dinner followed the Indiana Chamber’s fall board of directors and annual membership meetings. Indiana Chamber Volunteers of the Year were announced during a lunch ceremony: Ron Christian (Vectren, Evansville); Mike Campbell (recently retired from Neace Lukens, Indianapolis); and Melissa Proffitt Reese (Ice Miller, Indianapolis). Patty Prosser, managing partner of Career Consultants – Oi Partners, of Indianapolis, was elected the Indiana Chamber’s 2014 chair of the board of directors.